A Google Partner status isn’t just handed out, it’s a badge that’s earned! A Google Partner is an agency that has met Google’s guidelines of multiple employees being trained and certified in Google Adwords for their clients. Achieving partner status means that an agency has demonstrated skills and expertise in Adwords and met spend requirements all whilst delivery agency and client revenue growth, in addition to sustaining and growing a client base. 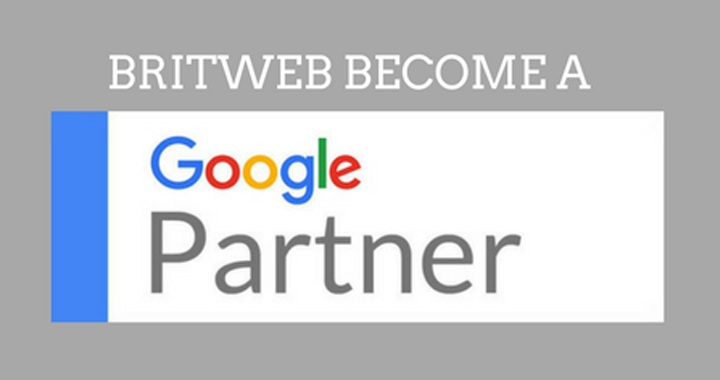 What does BritWeb being a Google Partner mean for our clients? BritWeb joined the Google Partner programme a few months ago and have earned specialisations in Search Advertising, Shopping and Google Analytics IQ. Our team members are certified in these specific product areas and demonstrate experience in helping our clients create and optimise adverts on the search advertising and display network as well as Google Shopping. We also work directly with Google representatives on our clients AdWords accounts to optimise ads and get the best ROI for their campaigns. The partner status confirms that the practices we adopt when managing our clients ad spend adhere to Google’s standards and align with their best practices. We are well-adverse to the Adwords platform and the partner status shows that we have received full training to help grow businesses online, offer excellent customer service and a competitive advantage to our clients. We’re certified and earned it! As an agency with partner status, our employees are required to have Google Adwords certification to manage our clients accounts. To maintain this status, we have to keep our accreditations up-to-date and continue to meet Google’s standards for account management best practices. So you know you’re in good hands! There’s nothing better than being ahead of the curve in business; as a Google Partner BritWeb has access to beta features in Adwords. This not only allows us to test and develop our skills, but means we can use the feature up to a year or more before it is available to the public. Therefore, we could potentially roll out new features for our clients a year before their competitors can! As part of the programme we have to demonstrate that we are employing best practices. This may include split testing adverts and ensuring negative keywords and messaging are set up correctly. By experimenting with our client campaigns, we are constantly evolving and tweaking to ensure the best results. As as google partner, we are invited to exclusive events and receive announcements of the latest updates to the Adwords platform. This insight enables us to apply our knowledge to our clients campaigns. If you would like more information about our Google Partner badge, you can view our Google Partner profile here. To work with us to improve your website design or digital marketing, get in touch by calling 01403 261491 or emailing info@britweb.co.uk. Posted in Blogs, Digital Marketing, Google.